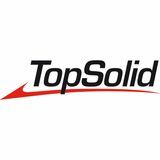 Discover and download TopSolid 7 on http://www.TopSolid.com/download! Any idea when there may be some "getting started" tutorials for TS7 ? In the evaluation version, there's one pdf with 3 lessons in English in Help menu (Tutorial) on the question mark icon... It will be completed soon. Excellent ! Thanks David ! It took me a while to find the question mark icon at the top right of the screen but now I see the tutorial. We are not used to work with sketchs here... only curves, but unfortunately I did not find a way to work as we like. I made it through the first tutorial lesson. I haven't found anything I don't like. In fact, I love it love it love it. Very nice job ! A little confusing in the tutorial is the section about vaults.... It seems that some of the dialog was changed after the tutorial was written ? It's funny because that's actually what i don't like in TopSolid! I guess it's because I'm a old Solidworks user..
Thumbs up for Missler with this one...at least for me! In my own studies/playtime with TopSolid 7, I have found that the learnability of it is easily 40-60% less than that of the V6 product. The integrated PDM is by far and away the best I have ever seen or worked with. It is very easy to manage multiple versions of a design, assembly or draft file. The ability to check where a part has been used in another design is huge as well. If you want to see sample of this, check out the videos on www.topsolid7.com! The outright speed of this is second to no other product today! Example... I have seen taking a 4000 component assembly and generating a 2D draft of that assembly done in TopSolid 7. This was done on a laptop. The projection time was a mear 2 seconds! That's rediculously fast! I can't wait to see what next years version brings! Any ideas on when will the animate parameters feature be added to TS7? There was also a surface area parameter feature in TS6 that I haven't been able to find in TS7. The closest thing thus far is the physical properties, but that's not really programmable parameter. TopSolid 7 Users and Fans. Is there a Student's version of TopSolid 7 Design and CAM available ? Or anything else equal to the HomeLearning Edition of Mastercam ?